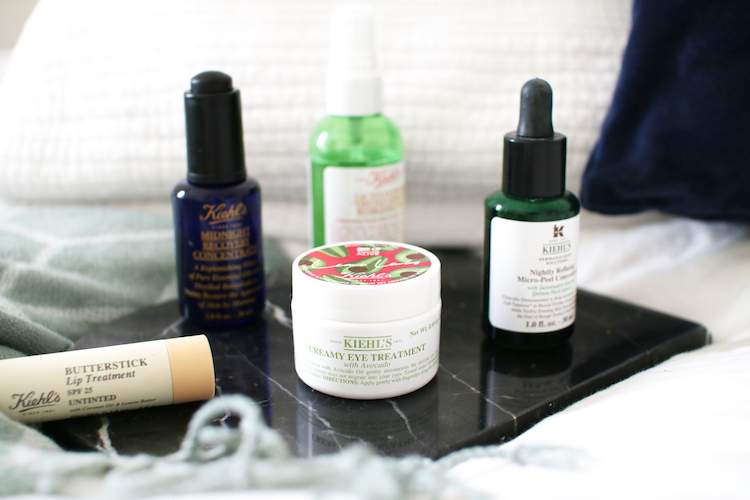 Kiehl's is fast becoming one of my favourite skincare brands. I started using the brand about 3 years ago and over-time I have discovered some HG material. There isn't a product I try and don't love, I especially like how gentle their products are yet still very effective. I could write a long list of everything I like but I will spare you all some reading time and whittle it down to my top five. Honestly - it took me half a day to decide my ultimate five because I love everything they do but here you go! This doesn't need an introduction, it's one of their bestsellers for a reason! Every night I apply a few drops at the end of my skincare routine. I warm up the oil in the palms of my hands and pat it on my skin. Skin instantly feels plump and spoilt with goodness. Key ingredients include Lavender oil, Primrose oil and Kiehl's signature ingredient Squalane. The scent is calming and allows me to drift off to sleep in no time. Every morning I wake up with beautifully moisturised, toned and even skin. This is the only face oil I have ever finished, I'm on my third bottle. I've only used this for a few months but I've already noticed a difference. I apply this morning and evening, around the eye area using gentle patting motions. It's really creamy yet does not leave a greasy feeling. My eye area appears brighter and more even in tone. I find my under eye makeup is applying better too, almost as if the canvas is more smooth. No doubt I will be finishing this little pot in no time. Another recent discovery. It doesn't take me long to work out whether I like a lip balm or not and upon applying this on my lips, I knew it was LOVE! It is extremely moisturising and it lasts. I have tried many lip balms which give good moisture yet only lasts a mere hour or so before you need to re-apply. Not with this one, it literally goes the distance. I can easily apply this twice a day and that would be sufficient - it really is that good. I know £19.50 is steep for a lip balm but like I always say, quality over quantity. It comes in a variety of tinted colours too so you can double it up as a lip colour. It's the only lip balm I need in my life right now. This little bottle claims to boost radiance, refine the texture of skin, gives you softer skin and smooths out fine lines. Seven days to feel the benefits and thirty-one days to see full visible results... I can confirm it does deliver. I've been using this for over three months now and at first, I was sceptical. I've used many products with a similar description and they simply don't deliver. But this one is surprisingly good. The texture feels slightly sticky at first but once absorbed, skin is left feeling plump and very smooth. I've noticed my skin is smoother, more even in tone and texture has definitely improved. My blemish scars have visibly reduced too. In conjunction with my Midnight Recovery Concentrate, these two work together - they should be married. This is my desk/travel/handbag staple. I love the scent - a blend of lavender, geranium and rosemary oil. It's the perfect pick me up when skin is feeling dehydrated. It locks in skins essential moisture in one fine spritz. I used this religiously throughout Summer and I still have lots left - definitely worth the price tag. There you have it! 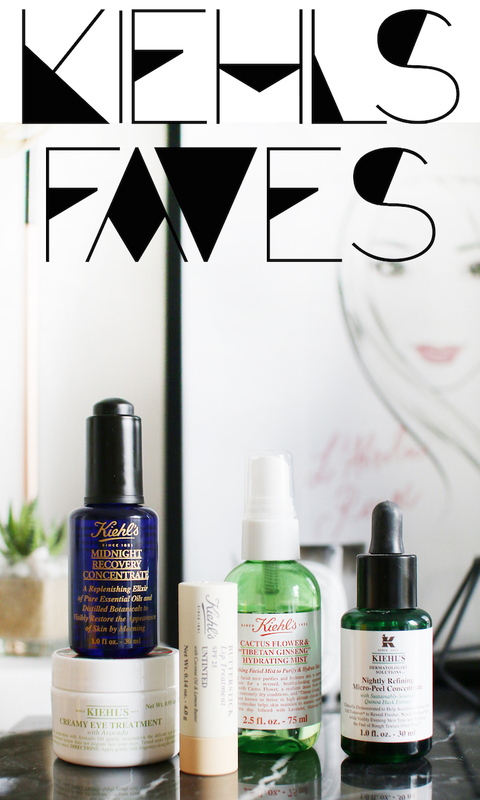 My top five from Kiehl's. By the way, I also love the Midnight Recovery Cleaning Oil, Creme De Corps moisturiser and so on - you get it, I love everything they do! I already know my love for Kiehl's is only going to grow stronger. Whats your favourites? To be honest, Kiehl's is probably my favourite skincare brand. So far, I haven't tried a product I haven't liked (and I've tried a lot). 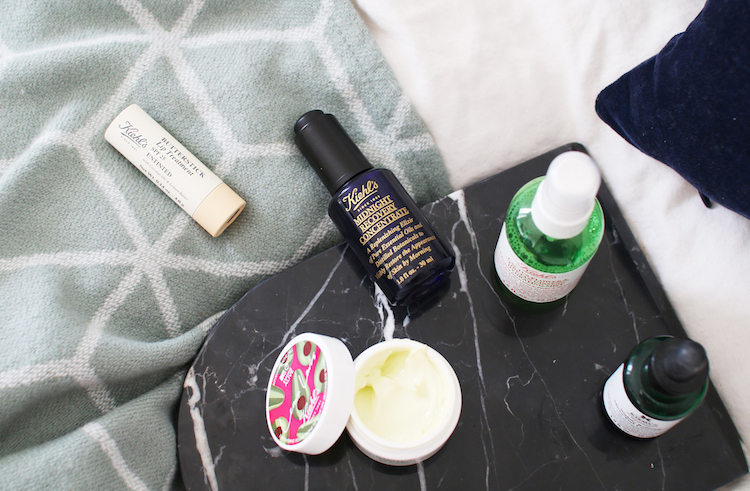 My favourites are the Ultra Facial Cream, Creamy Eye Treatment With Avocado, and the Midnight Recovery Concentrate. 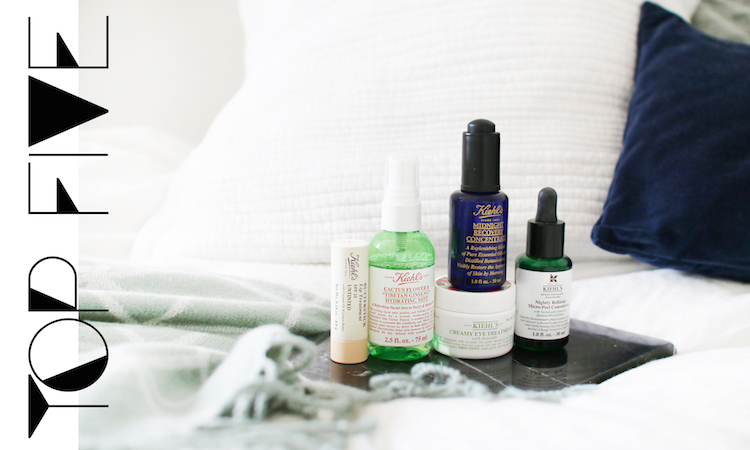 I also love the Hydro-Plumping Retexturising Serum and the Skin Rescuer. I think they do serums and moisturisers so well! I have not had any Kiehl's products yet, gonna find some. Back when I was very young, I used to dream I'd have so many colorful and tasty smelling jars and bottles like my mom did. As I grew up and started making reviews for dissertation service on http://essayguard.com/services/dissertation-writing, I did get myself a whole lot. And now I realize that I use maybe 15% of everything!